Los Angeles, CA –April 15, 2013—The tragic events in Boston have left American’s feeling venerable. While the authorities sort out the details of how and why it happened, many people seek to find a way to help. Crowd Funding has been used to raise funds for victims of various incidents over the past few years. The money has helped with medical bills, the cost of rehabilitation and restoration of damaged property. Crowd funding can also open the door for scammers to fatten their own pockets while claiming to raise money for the victims. Dr. Letitia Wright, Crowd Funding Expert wants to give the public some basic guidelines to use before they give to a campaign. 1) Before you give, find out about the organization that is asking for the money. Is it a non-profit? Have you heard of it before? Find and address and phone number and check on all the information. Chances are, if you cannot Google them and find out all the information you need, they may be just a new scammer online. 2) How is the person raising the money connected to the intended recipient? The victims are busy trying to recover and hardly have time to get a representative to get a campaign together in the first few days or weeks. This person could be just using their name as a front to get money. 3) What website are they using? The better-known websites are safer and more stable. There are over 500 crowd funding websites that someone can use. A few actually shut down every day. 4) Is there another, better known Non profit like the Red Cross doing the same thing? 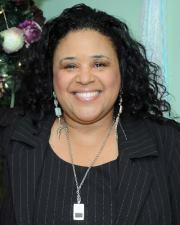 You are safer with a large Non-profit and your financial give is tax deductible. 5) How long are they raising money? Most crowd funding campaigns only last up to 90 days. If they started in April 2013 and are still raising money via crowd funding in September, that is far outside of the norms and you should take a second look before giving. 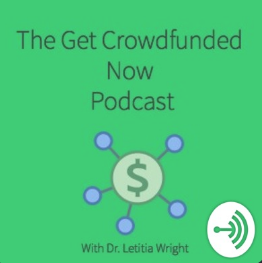 Dr. Letitia Wright is a Crowd Funding Expert who teaches crowd funding for the Small Business Administration and is available in person locally in Southern California and by phone nationally. Excellent advice on researching a crowdfunding campaign prior to supporting it. Unfortunately, there are always those who will take advantage of a tradegy. These are good guidelines to follow.